Seth MacFarlane. Seth at Comic Con. 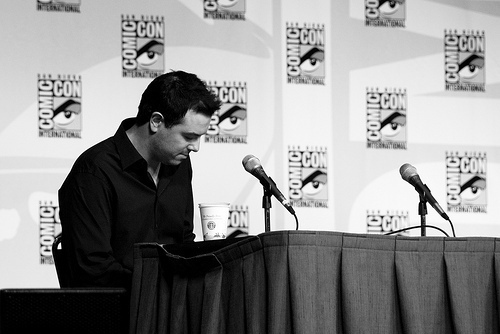 Pretty obvious, I would think.. Wallpaper and background images in the Seth MacFarlane club tagged: seth macfarlane comic con black and white. Seth at Comic Con. Pretty obvious, I would think.